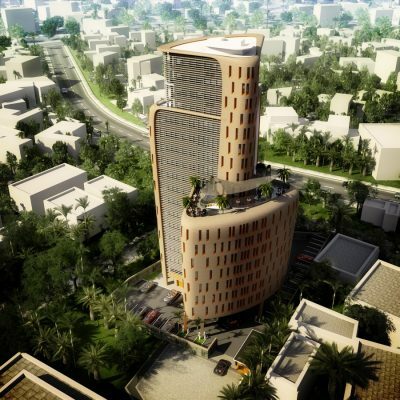 SPARK, as part of a leading international Design Team is set to deliver its first significant project in Africa for Nigerian Client Athena Capital Ltd. Ramzi Towers, in Lagos, seeks to set a new standard for luxury contemporary living in this powerful African Economy whose growth is attracting significant global investment. Designed by SPARK, engineered by Battle McCarthy and project managed by WT Partnership, Ramzi Towers is situated in the heart of exclusive Victoria Island. 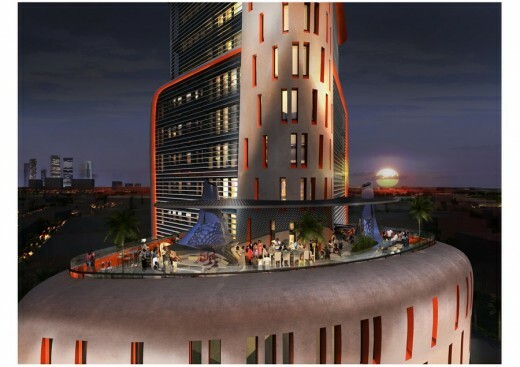 This unique 18 storey structure is designed to give 360 degree panoramic views from 5 Cowries Creek and the Lagoon beyond, to downtown Lagos and across the Gulf of Guinea to the Atlantic Ocean. Each of the 22 3-bed, 4-bed and penthouse apartments is orientated to maximise daylight. The tower’s distinctive curved shells and striking, deep window reveals, provide shading from the heat of the direct sun. SPARK has designed a uniquely African solution which responds to local climatic, social, financial and cultural drivers. Ramzi Towers’ sprayed concrete curved shells provide structure, water-proofing, air-tightness, fire protection and solar protection in a single solution, while being sculpted to minimise wind resistance and to provide a curvaceous African response to the global vernacular. This sprayed concrete process was selected and advanced to minimise costs and build-time while providing limitless formal freedom to the design process. The Architects and Engineers have chosen the development of this simple on-site fabrication method against the backdrop of a local Contracting tradition that is not explicitly ‘high-tech’. As such, the building process is appropriate and empowering, enabling the local contractor to deliver the highest inhabited sprayed-concrete structure in the world without needing to outsource the technical issues. The project team is also undertaking the establishment of a shadow program, where UK skills and knowledge are to be shared and transferred to local young Nigerian consultants who in turn are assisting in meeting local statutory approvals. 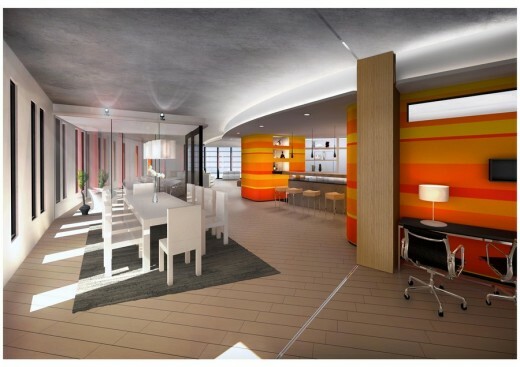 Each apartment is designed around a huge central living area giving panoramic views. The living, dining, bar, library and loggia areas are all interconnected around a central pre-fabricated kitchen hub. Master suites are impressive and additional bedrooms generous and all en-suite. Dedicated lifts serve only two apartments per floor on lower levels, while upper floors access solitary four bed apartments containing additional reception, or ‘morning’ rooms orientated to benefit from the morning sun. The top two floors contain exceptional duplex penthouses with stunning roof terraces. 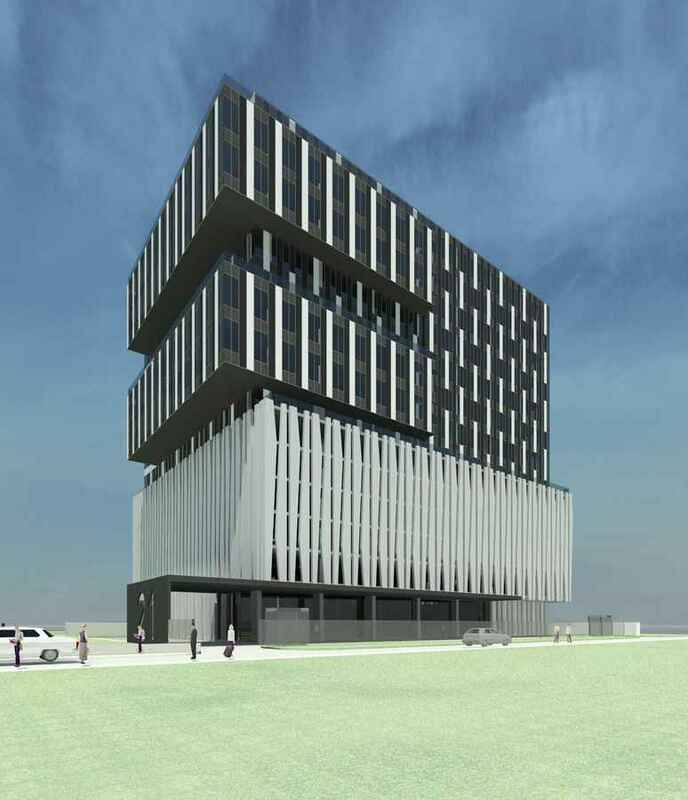 The project has been submitted for Planning Approvals and is due to begin on site in Q3 of 2014. Contemporary living in Lagos is just about to turn panoramic.